Very many people asked me if I was going to drop a ’21 lessons before 21′ kind of post and another suggested ’12 lessons before 21′, but for some reasons, I didn’t feel like putting up any of those up. Overwhelming in the sense that I, Eno, was turning 21! (Insert the loudest scream you’ve ever heard). 21 is a big step, and an age where I’m legal to do so many things in the various world countries. Hot and cold thoughts right? Great. I have given you a glimpse at what goes on in my mind. I was underwhelmed because when you type ‘turning 21’ into any search engine or social you’ll see club photos and people turning up beyond doubt but the week before my 21st, I was falling into a foul mood. Some people didn’t know and some were on the receiving end of that mood. I was confused on whether or not to conform to the trend or not? And I’m glad to say that I didn’t conform. 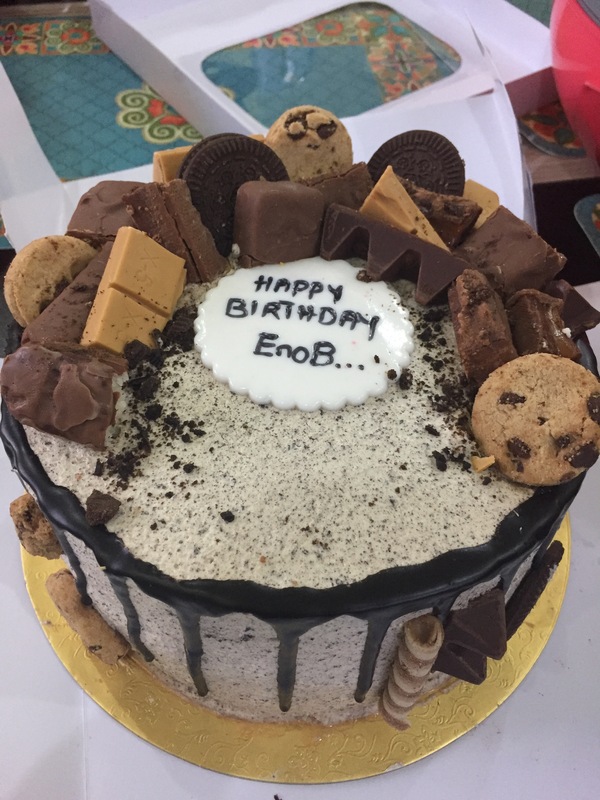 I ended up getting a small cake (Shout-out to Aduke’s bakery. You’re the real deal! ), my sister handled catering (thanks Wanny!) and having some friends over and of course the highlight of my day (drumroll please) were PRESENTS!!! Lols JK. I enjoyed getting to spend time with my people and eat (life of a foodie) and have a mini jam session (shout-out to David! God bless your hands) and just live. I never get time to do the simple things and it was fun getting to do just that. Those who couldn’t make it also made my day by taking time out to send goodwill messages, called and found ways to send gifts from across the country. This is the reason why I was thankful for online delivery services on my day 19 of my 30 days of thanks challenge that I’m currently doing on Instagram. 30 days of thanks came to me as I sat thinking in my usual fashion about how most of what I do in faith is to ask. I then thought to myself, if you ask and are answered most of the time how come you do not thank God most of the time also. And for that, I decided to go 30 days of just being thankful for one thing (only), no matter how silly or little it is and spending 5 minutes daily to worship. Its been a wonderful 21 days. BTW it’s not too late to jump on this, just tag me on @enoabasi_n and keep the 30 days strong. I felt extremely loved and special and thankful for the people who showed up. Time is one of the most valuable things you can give to a person, and for them to decide I was worth 4 hours + of attention and time? Mind blowing. I’m excited for 21 and honestly can’t wait for what it has in store and I’m eagerly anticipating this upcoming year. Anyhoo, below are a few photos from 21, I hope you enjoy them as much I enjoyed getting them taken. The people of the day! Great news btw, you get to watch part of the day in my birthday vlog and it is up on my You Tube channel. Yes, I have a you tube channel. Yes, I have a blog. Yes, yes and yes to all the questions. Go watch, like, comment, share the video and subscribe to my You Tube channel!! Happy 21st girl! I know you can do it, and I’m rooting for you! You will achieve great things this year, and even greater things each year!